LAS VEGAS - A once-secret Pentagon study of UFOs may be finished, but according to published reports, the U.S. government is still collecting information about encounters between unknown aircraft and our military. So far, the government has not released official reports or findings from the study that was headquartered in southern Nevada, but the man who authorized that study knows a bit about the content. Former Nevada Senator Harry Reid gave the I-Team and exclusive interview. 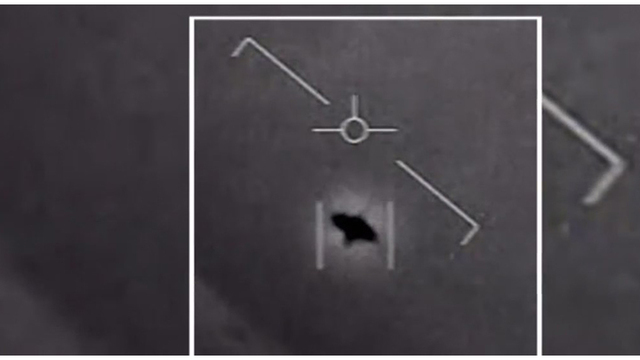 One critic of the UFO study said on Cable news Tuesday night that of course, we should study unknowns that are encountered by military pilots, but we shouldn't study those UFOs. The study conducted here had input from the best and brightest trained pilots and other observers, back up by radar returns, instrumentation and -- sometimes -- physical evidence. One account came from a bomber pilot who later became a U.S. senator. 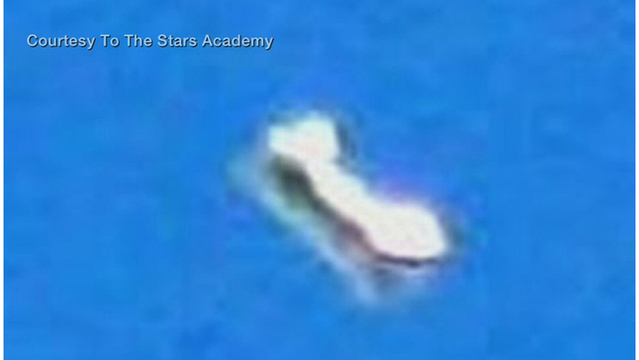 "I was flying and there was an object next to me. I couldn't get rid of it, I slowed up, it was there. I sped up, it was there. I would dive, it would be there. I called. Nothing on radar," Reid said. 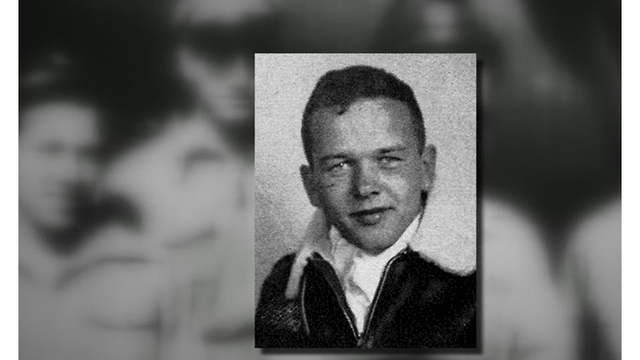 The story told to Harry Reid came from Republican Senator Ted Stevens, whose experience as a World War II bomber pilot was shared during a closed door meeting at the U.S. capitol. Reid says that meeting in 2007 led to funding for a clandestine study of UFOs. Reid had been approached by an unnamed intelligence official who felt the topic deserved study because of decades of spooky encounters between the U.S. military and unknown aerial objects, like one off the California coast in 2004. UFOs as big as airliners played cat and mouse with the USS Nimitz carrier group several times over a three week period. An object shaped like a gigantic Tic Tac performed seemingly impossible maneuvers. Another video recorded by military pilots caught glimpses of what the aviators said was a fleet of unknown aircraft. "They are outmatched by a technology they've never seen. Clearly this is not an experimental aircraft, but whose is it?" said Chris Mellon, former intelligence official, To The Stars Event. News of the encounter was first unveiled back in October during the launch of a public benefit corporation called To The Stars Academy, the bigger story was missed, namely that the video had been analyzed in the study initiated by Senator Reid. Results from the study have not been made public. Reid says the program cast a wide net, and included incidents with clear national security implications, such as chilling reports in which UFOs hovered over American nuclear missiles bases, as portrayed in a documentary UFOs and Nukes. "It's in the documents. Scores and scores of men come out, look up wondering what that is. They wouldn't leave. Communications in the missile defense system was shut down. It didn't happen just once. It happened more than once," Reid said. He adds, the study investigated reports of USO, unidentified submerged objects, and it incorporated the UFO files collected by other nations which have been more open about the issue. One aim of the study was to find out the origin of the craft. Intelligence officials ruled out the Russians or Chinese but Reid says our adversaries are likely ahead of us in trying to duplicate a far-superior technology. Reporter George Knapp: "Are there indications that Russia and China are studying it? Harry Reid: "The answer is yes." Las Vegas businessman Robert Bigelow, whose aerospace facility housed the UFO study team, says he signed a strict non-disclosure agreement and cannot discuss the findings. Reid says the study produced voluminous reports but was canceled because of fears within the intelligence community, fear not only that the story would leak out, but fear based on religious beliefs who felt that UFOs might be satanic. Reporter George Knapp: "Did you hear that, that it's evil? Harry Reid: "Yes. I think there are a lot of people who don't like it for a number of reasons and religious views. It didn't fit with what they wanted to spend money on." Persons familiar with the five year study told the I-Team the effort resulted in three dozen thick reports, some of them several hundred pages in length, as well as another three dozen or so technical reports which projected how this kind of exotic technology might usher in a new era of aviation, and what that might mean. Thursday, Senator Reid talks about whether we need Congressional hearings on UFOs. 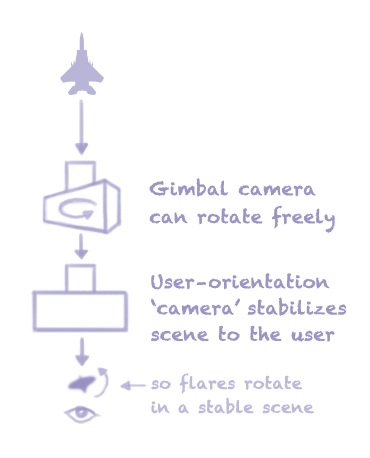 Here's a schematic of the two-camera demo (above) as a hypothetical rough model for how the tracking system might produce the footage in question. I put the second 'camera' in quotes to note that what it simulates is surely not a second camera in the tracking system but rather some secondary image-processing mechanism that may do comparably what the second camera does in the demo. If the aircraft did anything OTHER than bank at a consistent angle, then yes, you would see the image tilting. Gimbals are described by the number of axes -- something like this is almost positively a 4 axis stabilized imaging system -- 2 course outer axes followed by 2 fine inner axes. Cinematic gimbals like the Cineflex and GSS usually have a 5th axis to roll stabilize them so that the horizon is always level. This clearly doesn't. Some gimbals (such as the Litening Pod) will electronically roll stabilize the horizon -- maybe even newer versions of this, but the video we are seeing is showing what the image looks like at the focal plane array. [Note, you can click on the little arrow after "said: " in a quote to take you to the original post in the thread. The yellow path seems to be the complex path of input thermal data before being output to the pilot's monitor. It's easy to lose sight of the yellow path where it overlaps the blue path, but in fact the yellow path runs from the front to the back of this array of components. This animation sure could imply there are de facto two cameras in the system! On @Tom Churchill's point, it's true that the F18's monitor doesn't keep the horizon level and so doesn't have 5th-axis stabilization, but it is keeping the horizon user-oriented, and I'd think that would be the ideal output. To a pilot left banking, their spine (ie, their vertical alignment) is tilting to the left relative to the horizon. The tilt of the clouds in the Gimbal footage reflects that, and so is exactly what the pilot should expect to see wrt the horizon. I'm not disagreeing with anything, just underscoring that there's reason to believe there is a user-orientation function taking place prior to the output monitor image, which is key to the two-camera modeling I propose above. 1. Is it usual, normal, common practice or what to marry crew conversations with FLIR, radar or TV footage? 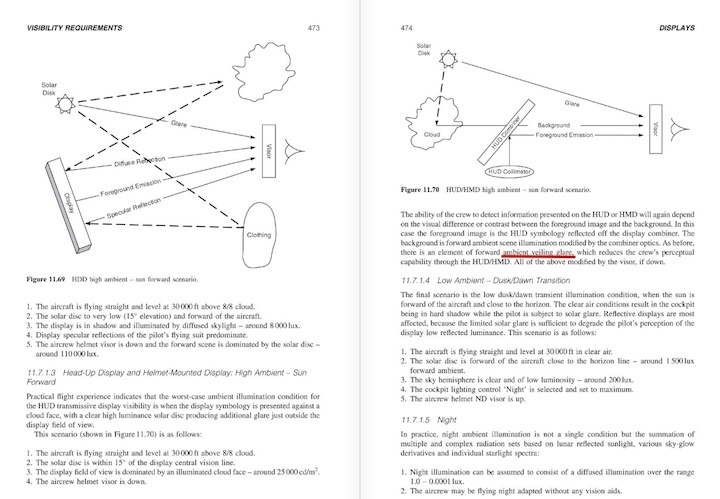 If it's not (and it's signally missing fro FLIR-1) then how are we to know that it's not lifted from some other event? 2. One of the crew mentions either "LoS" or "L&S", which I interpret as "line of sight" or "lock & steering". Which is more likely or, perhaps more critical, more pertinent as a query from one to the other? My own vague uncomfortable feeling about this, as the radar and FLIR are clearly not synced, is that something odd is going on. Does the question refer to an eyeball sighting? And/or is it a clue that this is a test of the Raytheon kit? All very frustrating, and partly unanswerable as yet, but a few knowledgable flyboys round here may be able to assist. Some such may also be able to comment on a remark I read somewhere else from a former Signal Corpsman that this exchange sounds remarkably unprofessional for military fliers. Certainly interested in this idea that the rotation of the object as seen in the clip could simply be due to the window of the AN/ASQ-228 ATFLIR. It has been a good read. one of the writers of the NYT article is Leslie Kean, who bought deeply into the Chilean UFO report. Don't forget that in 2012 Chile's UFO program, and Leslie Kean, promoted a video showing a fly buzzing around as a genuine UFO. All their "experts" were fooled by a bug. It's irrelevant to debunking the Gimbal (or Nimitz) clip. The Gimbal clip isn't made any less credible with Kean reporting on it, is it. All this means is that Kean is gullible and possibly gambles with her reputation when acronyms and titles get large enough. That and the CEFAA did a poor job not congruent with their positions. Given these standards, I'm now doubting everything about this, up to the existence of Elizondo's program. The DoD confirmed the existence of the Advanced Aerospace Threat Identification Program which Elizondo managed didn't they? Sen. Harry Reid has confirmed that he got the funding together for it at least and put a contract out to tender which Bigelow won. Also, the link between the two videos is unclear. The NY Times specifically linked the two under a same DOD's endorsement, but I'm not really sure that they really come from the same event. Does anybody have a link to the chain-of-custody documentation regarding these clips? I've seen this referenced on TTSA website under heading 'Implications', but no actual links to PDF's are provided to verify the authenticity of the footage. Exact same issue for Nimitz. A written report is not chain-of-custody documentation for either clip, either. The disturbing thing about all these videos is that you start any analysis with one hand tied behind your back. No metadata is provided on when/where this was recorded, which normally I would think should be present on a frame-accurate basis. Why THIS particular 33 seconds of the recording? Were they recording before? After?... TTS brags about provenance, but then they don't provide the FOIA letter, response, etc. What is it you're trying to obtain though? As I understood it, Bigelow Aerospace were the contractor according to Sen. Harry Reid. What would be useful to see would be the results collected (claimed to be scientific evidence), but who owns what - the DoD or BA because FOIA legislation doesn't extend to private businesses. BA was a contractor. DOD owns the material. I too have a question regarding the audio. The camera rotation/glass/glare optics explanation is compelling, and I am willing to concede that as a plausible scenario here. My lingering doubt however has to do with the pilot/crew speaking as they witness this event. (I Peter B suggested the audio could have been edited etc, but assuming the audio is authentic...) Would the pilots have been watching this object through the IR Camera live (as we are when we watch this video?) Or is it possible that they were actually seeing the object with the naked eye when making these comments? The obvious implication being that in the former, the pilots are also susceptible to the explanation put forth in this thread, but if the latter, then there is an additional data point that requires some consideration here... (ie: they are seeing the physical object rotate, thus their commentary cannot be explained by the Camera Rotation). I think it unlikely that an object of this size would be visible at a distance of >10 miles, but as discussed, I don't pretend to be an expert! Thank you for any thoughts/answers. The obvious implication being that in the former, the pilots are also susceptible to the explanation put forth in this thread, but if the latter, then there is an additional data point that requires some consideration here... (ie: they are seeing the physical object rotate, thus their commentary cannot be explained by the Camera Rotation). Here's an illustration of the type of thing we are looking at. It was basically invisible to the naked eye. What is the chance that this is the camera tracking glare on the lense caused by an external light on the plane? The clouds continually panning left to right seem to indicate the camera is not fixed on an object far off in the distance. The clouds moving simply means they are behind the object. The Navy pilots can be heard trying to understand what they are seeing. “There’s a whole fleet of them,” one exclaims. Defense officials declined to release the location and date of the incident. is it possible that these 2 pilots are looking at SA monitors set a different range - magnification? one pilots might be seeing 4 jets engine FLIR and the other the single blur ? This little clip from the Raytheon video shows the type of rotation I'm talking about. There's an axial rotation of the entire "tube", then a panning rotation using just the "ball". The axial rotation would be corrected for internally, so the glass is essentially rotating in front of the non-rotating camera. I agree with everybody else that all the pieces of your FLIR pod window glare hypothesis answer the questions of the Gimbal video elegantly. Chapeau, Mr. West! Now if we can just figure out how we can monetize your debunking expertise, we could beat TTS AAS at their own game! I'm thinking a Myth Busters type deal on Discovery Science where you and Robert Sheaffer debunk 70 years worth of UFO hooey in bi-weekly episodes. Watching the Raytheon footage it seems possible, or perhaps most likely, that the housing window and camera (and thus camera lens) move together. If the window is panning say left to right, surely that's because the camera is panning left to right. And this may hold for circular rotations as well. In that case the window does not rotate relative to the camera lens directly behind it. However, either way, rotations of the housing window or any lens along the LoS of the 'first camera' could produce a flare that rotates independently of the scene by way of 'second-camera processing'. Not sure if someone mentioned this already, but when the large glass window is pointing straight forward it must rotate a lot in order to align the side to side motion of the glass with the motion of the object/aircraft. And if you look at the video, the apparent rotation happens when it is pointing approximately straight forward, i.e. the same time you would expect the glass to rotate the most. I'm not sure you can really say that, as the rotation of the inner camera is somewhat independent of the outer housing. However the outer housing clearly has to rotate at some points. The computer's decision to rotate the outer housing may be based on a number of factors - for example it might try to avoid it when doing fine tracking of a target. So you'd expect to see rotations more around the time of loss of target lock when the system takes the opportunity to move the outer housing so the inner camera has a wider range of motion. ...Some such may also be able to comment on a remark I read somewhere else from a former Signal Corpsman that this exchange sounds remarkably unprofessional for military fliers. Actually, that was me. I'm the loud, hairy American dude over in the badufos comments ;¬) I served in the U.S. Army's 7th Signal Brigade a few years ago. I don't know about the Navy and Air Force. But you'd be seriously reprimanded in the Army if you'd talked on the radio like you were "still back on the block" (as they say in the Army). There's a certain standard way of communication that I expect to hear from real life U.S. Navy pilots communicating on radio. There would be the standard, recurring use of "Roger" throughout the comms. Also, I would expect the pilots to use words like, "Bogies", "starboard", "port" in their vocabulary. Things you just don't hear in the everyday civilian conversation. Professional military people are trained to speak with a certain cadence when communicating over radio. The term "official-sounding" is a good description. They're also trained to speak clearly and to repeat stuff twice or three times in a row, to make sure the other person understood what you said. We've all heard that very distinguishable military-speak I'm talking about. So it's suspicious to me that all those tell-tale "military-speak" features are absent from the Gimbal video audio. 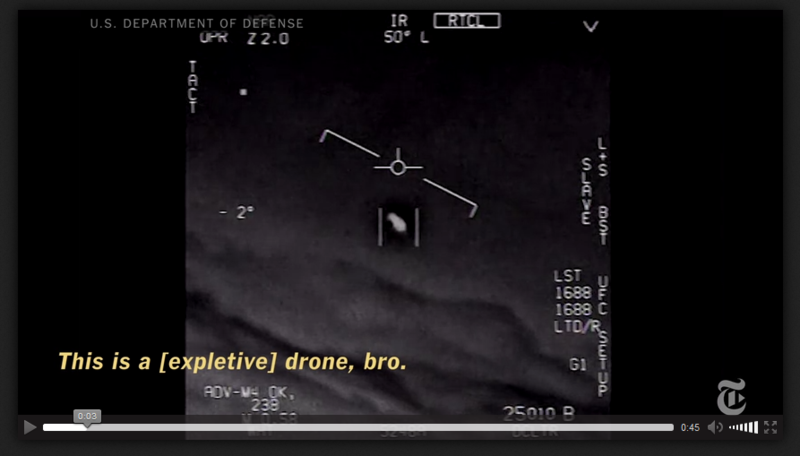 Also suspicious in the Gimbal video dialog is they use the word "drone". If there's one thing I know about the way all military people communicate, they never miss an opportunity to use a code word or an obfuscating acronym for stuff. A real military person would have used, something like "UAV" (Unmanned Aerial Vehicle) or maybe "UAS" (Unmanned Aerial System). But not "drone". So in my opinion either the Gimbal video was overdubbed by civilian voice actors with zero real military experience, or the voices are from newbie "recruits" with absolutely zero comms training and zero experience with military jargon. Whether they're real Navy pilots fresh outta boot camp or civilian voice actors hired by TTS AAS, either way they're clearly very young and very immature. In my opinion, that might be another clue that would support the Gimbal vid likely being recorded during a training flight. I wouldn't be surprised if, in DeLonge's official capacity as "award-winning storyteller" for TTS AAS, he's allowed to embellish mundane artifacts to make them more woo-tastic for the sake of a good story. As Paul Weller of The Jam would put it, That's entertainment!" So it's suspicious to me that all those tell-tale "military-speak" features are absent from the Gimbal video audio. 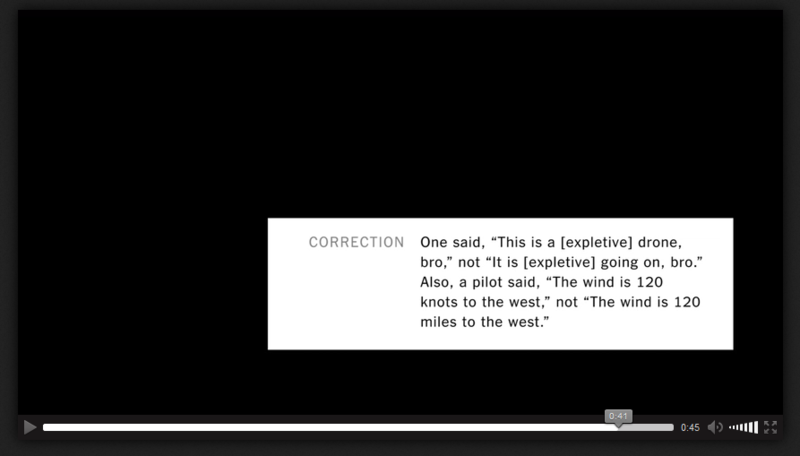 Also suspicious in the Gimbal video dialog is they use the word "drone". I don't think they even say "drone". That clip sounds more like "...ing going on bro"
Could it be an intercom between the pilot and the weapon systems operator? Maybe that would be less professional sounding? In the Raytheon ATFLIR pod video, from about 0:55 to 1:01, there is an animation that shows the outer pod housing rotating completely 180 degrees as it negotiates the limits of it's range of motion. Another thing I noticed is that the pod aperture (or lens) appears to be elliptical, and I'm wondering if that could explain the roughly elliptical shape of the glare/flare/bloom effect. I don't think so, it's essentially a window through which both the IR and Visible light cameras are pointed.